Krampus (2015) Film Review. Legendary Pictures Zam Pictures.Distributed by Universal Pictures. 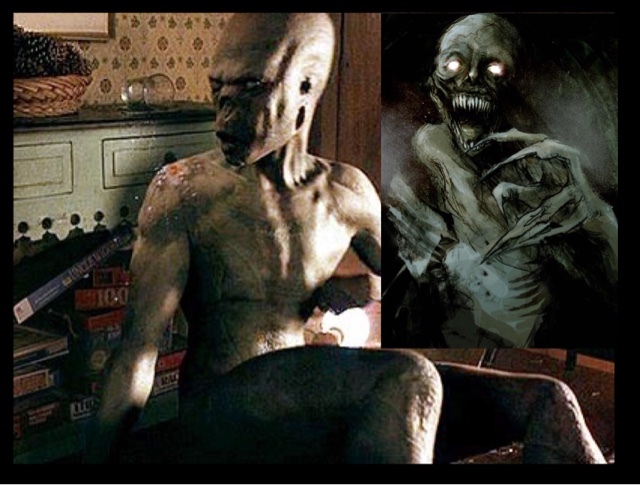 Directed by Michael Dougherty. Rated R, Certificate 15. Running time 98 minutes. Available on Blu Ray and DVD. Is it to early for Christmas movies on the 17th Of August, of cause not,and this one in fairness I really enjoyed,taking me back to the good old eighties,when comedy horror was King,with this reminding me of the obvious Gremlins,but also films like The Gate, and House,this film was reminiscent of. A word of Warning to all you non believers,and nay Sayers who hate Christmas,be careful what you wish for,and do not forget about the holiday spirit,or you will be punnished. That is the message in this film,that is brilliantly summed up in the opening credits,of savage parents fighting over that must have gift for their child,in supermarkets and Wall marts all around the world. Christmas is a time for family,for love,for forgiveness,that time of year to swap gifts,be merry,and when all that all breaks down,and in this modern must have age,a lesson needs to be learnt and that is the message of this film,that the importance of family and love is more important than any gift. Anyway back to this film when the Engel family spirit is tested by the annual arrival of Sarah Engel's (Toni Collette) sister and family Linda (Allison Tolman) her husband Howard (David Koechner) and his brood of unruly kids, it tests family boundaries and spirits to the limit,with the youngest of the Engel family,who still believes in Santa and the Christmas spirit Max (Emjay Anthony) is picked on by his twin cousins who mock him for still writing to Santa,and read out his list,to embarrass him,but the list is really sweet,not asking for presents,but asking for his parents to love each other again,and for his uncle and auntie,to finally have a break in life and have some good luck come their way,he is mocked and embarrassed. Max rips the letter to shreds and throws it out of his window,to disappear into the nights sky,to only be awoken by the worst snow storm in living history,with sinister snowmen built on his lawn. His older teenage sister Beth (Stefania LaVie Owen) stupidity goes out in this storm to visit her boyfriend,and is attacked by an unknown assailant. Her family go looking for her to be attacked by savage elves under the snow,it soon becomes apparent that staying in the house is safer,with the Gran explaining about her experience in Austria as a child,and her parents being taken by "Krampus" and with her being left to tell the tale,and to always spread the cheer of Christmas. With her telling her son Tom (Adam Scott do not let the fire die out,in the house,or they will all be in danger. With a bag of sinister gifts left earlier in the day by a delivery man, that open themselves,they have to survive a night of killer gingerbread men,armed with nail guns,and knives. A child eating Jack in the box that does actually devour children,a teddy bear looking like something out of Critters,that will take huge bites out of you,and one of the scariest Christmas Angels that will send shivers down your spine,and would not look out of place in an Evil Dead movie. 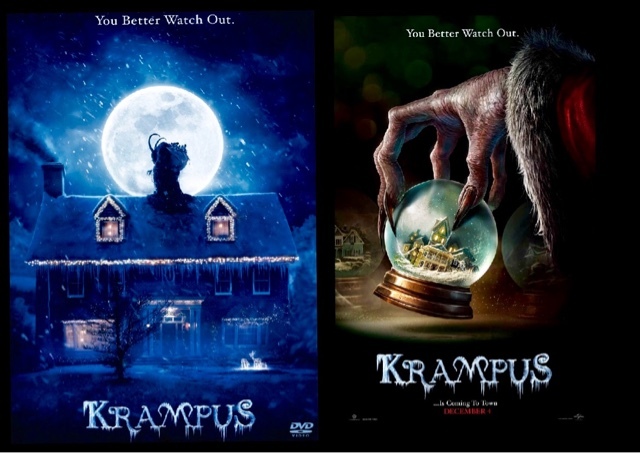 With the comedy and horror ratio just right, with so many references to other movies such as House and Gremlins, with an obvious Joe Dante being the inspiration for this movie, with the perfect level of scares to laughter is just so right, and this movie is definitely the best of the Christmas wannabe scare movies such as Krampus The Christmas Devil and A Christmas Horror Story, doesn't compare to this great movie. With an on form performance from David Koetcher, and surprisingly a great performance from young Emjay Anthony as Max, who is a lookalike of a young Stampylongnose, if you have teenage kids you will know what I mean. My only downsides about this film was Toni Collette was underwhelming in the role, and seemed to be only go through the motions, and the happy Hollywood ending that in my opinion needed to be a little darker. The overal message still gets through and that is to love and respect each other, it is still a fun movie to watch, and does its job to be enjoyable, with some great acting from most involved with a cast who at least looked like they were enjoying themselves on set. 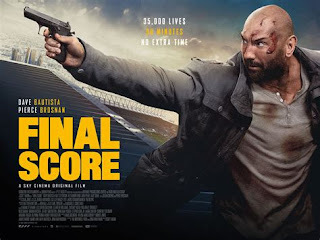 A really great fun movie that I really enjoyed.